As a proud and vocal Melbournian, most people don’t know I was born in the Blue Mountains of NSW. Which means for 3 nights and 1 afternoon every year you’ll hear roars and screams coming from a place no Victorian could ever understand. Deep, gutteral sounds I couldn’t describe if I tried. 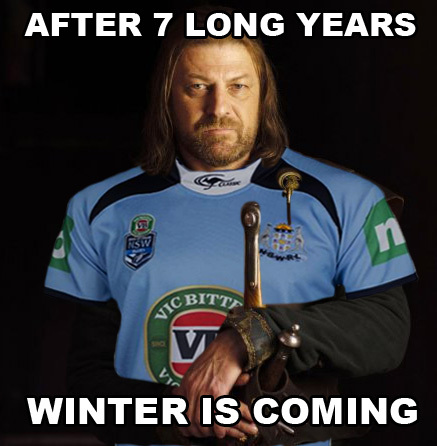 So after all these years of pain… I spent 5 seconds mocking this up to stick up in our office and show a few Kiwi’s, an Englishman and some native Victorians what’s in store during State of Origin Game 1 tonight.